Getting back on track with the history of current competitors scheduled for matches at Wrestlemania 28, we take a look at the challenger for the WWE title, Chris Jericho. Jericho made his Wrestlemania debut in a unique match. Kurt Angle walked into Wrestlemania 16 as both European and Intercontinental champions. Angle put both titles on the line in a 2 out of 3 falls Triple Threat match against Jericho and Chris Benoit. Benoit won the IC title by pinning Jericho for the first fall. Jericho destroyed Kurt Angle’s Wrestlemania dreams by pinning Benoit to in the second fall and leaving Wrestlemania as European Champion. Chris Jericho may have won a title at Wrestlemania 16 but at Wrestlemania 17 he walked in as a champion. William Regal tried to relieve Y2J of the Intercontinental title but fell victim to a Lionsault. As was discussed in the Triple H. history blog, Wrestlemania 18 had a World Title match with one of the worst build-ups in history. At the end of 2001, Chris Jericho had unified the WWF and WCW world titles by beating The Rock and Steve Austin in the same night. At Wrestlemania 18, Jericho was set to defend the title against Triple H.. Instead of the match being built around Jericho trying to knock off another legend to prove he was a credible champion, the months leading up to Wrestlemania were spent with Jericho playing lackey to Stephanie McMahon after her and Triple H’s on-screen relationship went kaput. The match itself didn’t do Chris Jericho any favors in making him look strong due to repeated interference by Stephanie and Triple H walking away the winner. When Wrestlemania 19 rolled around, Chris Jericho got to make people forget about the previous year by having a contender for match of the night against one of his heroes Shawn Michaels. This was Shawn’s first Wrestlemania match since loosing the WWF title to Steve Austin at Wrestlemania 14. The two had a stellar match but the student was no match for the master. Shawn Michaels won the match yet he was the one left on the mat after a post-match low blow from Jericho. The love triangle at Wrestlemania 18 may not have worked for a World Title match, at Wrestlemania 20, Chris Jericho and Christian decided to show how a love triangle can be exciting and the ensuing match could be entertaining and tell a good story. The lead up to the match saw Jericho and Christian make a bet as to who could bed divas Trish Stratus and Lita first. The story saw Jericho actually develop feelings for Trish then Christian tried to steal Trish from Jericho. Christian picked up the victory with a quick roll up and post match events saw Trish turn on Jericho and walk out with Christian. Before Chris Jericho left WWE to focus on other career aspirations for the first time, he competed in the first Money In the Bank match at Wrestlemania 21. I want to say Jericho came up with the idea for the match but don’t know if that’s legit or just a storyline point for how the match came about for the show. The match was your standard high spot ladder match. Edge ended up winning the match and Jericho would leave WWE a few months later. 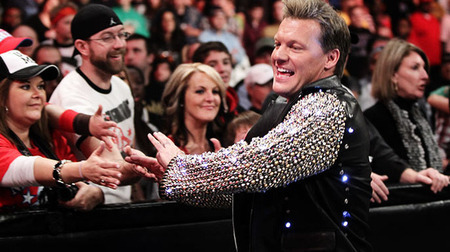 Chris Jericho made his Wrestlemania return at Wrestlemania 24 where he left off, in the Money in the Bank match. Much like the match at Wrestlemania 21, lots of high spots and someone other than Chris Jericho won. Wrestling Shawn Michaels at Wrestlemania 18 may have been a highlight for Jericho, but I’m willing to bet if the match at Wrestlemania 25 was the last match of Jericho’s career he would have been content. Jericho played the disrespectful youth who claimed the old school wrestlers should stay on the sideline and let the current generation have the spotlight. Stepping up to try and shut Jericho’s mouth were WWE Hall of Famers, “Rowdy” Roddy Piper, Jimmy “Superfly” Snuka and returning to the ring for the first time in over a decade, Ricky “the Dragon” Steamboat. Jericho ended up winning the 3 on 1 Handicap match but then was punched out by “The Wrestler” star Mickey Rourke. Wrestlemania 26 saw Jericho’s last Wrestlemania match to date. For the first time in eight years Chris Jericho entered Wrestlemania as World Champion. Jericho defended the title against former tag-team partner Edge. Edge had been on the sidelines for several months after an in-ring injury. While he was out injured, Jericho would run him down on the mic claiming Edge was the weak link in their team. 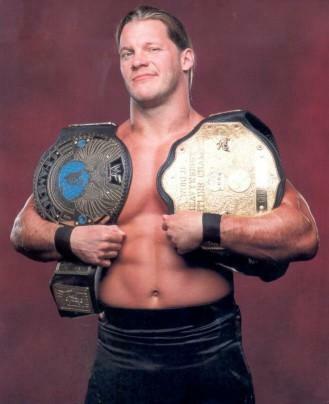 After the match was over and Jericho was still champion, one could argue he had been correct. Again, share your thoughts on the My123Cents Facebook page.